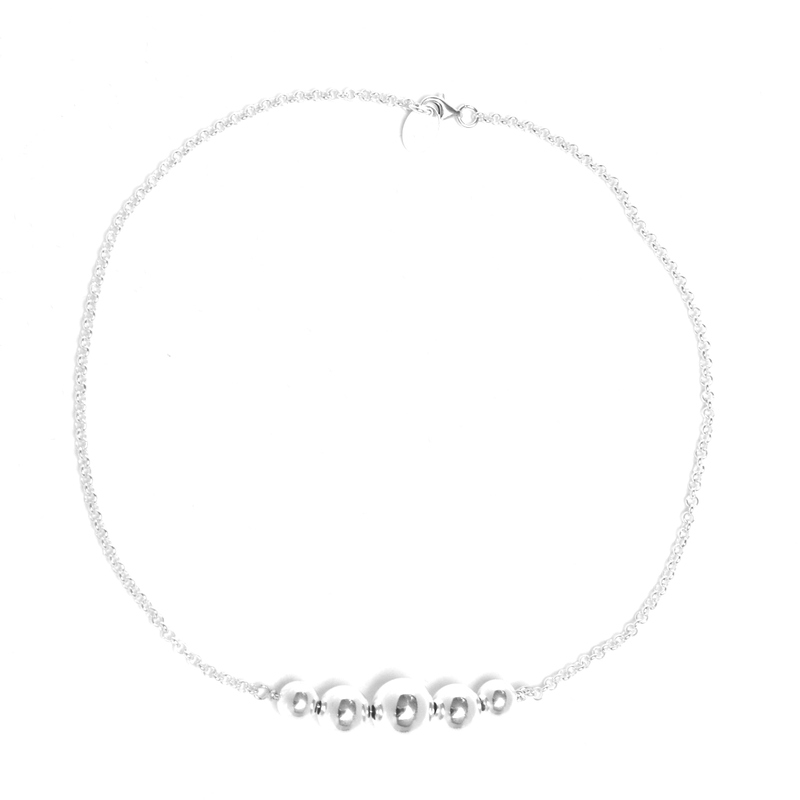 Superb, this polivalent sterling silver necklace will give the summer style! 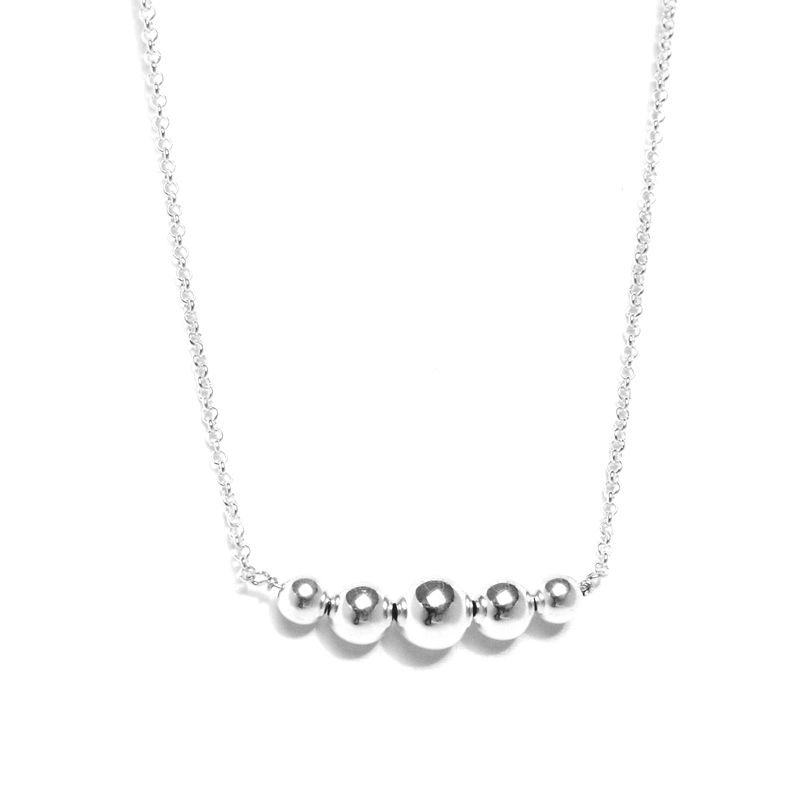 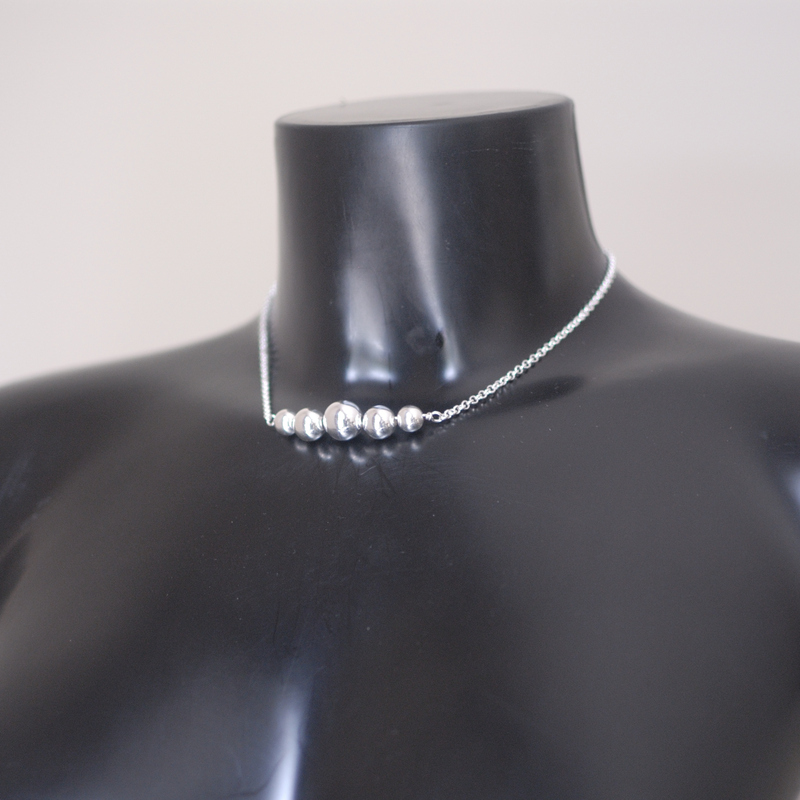 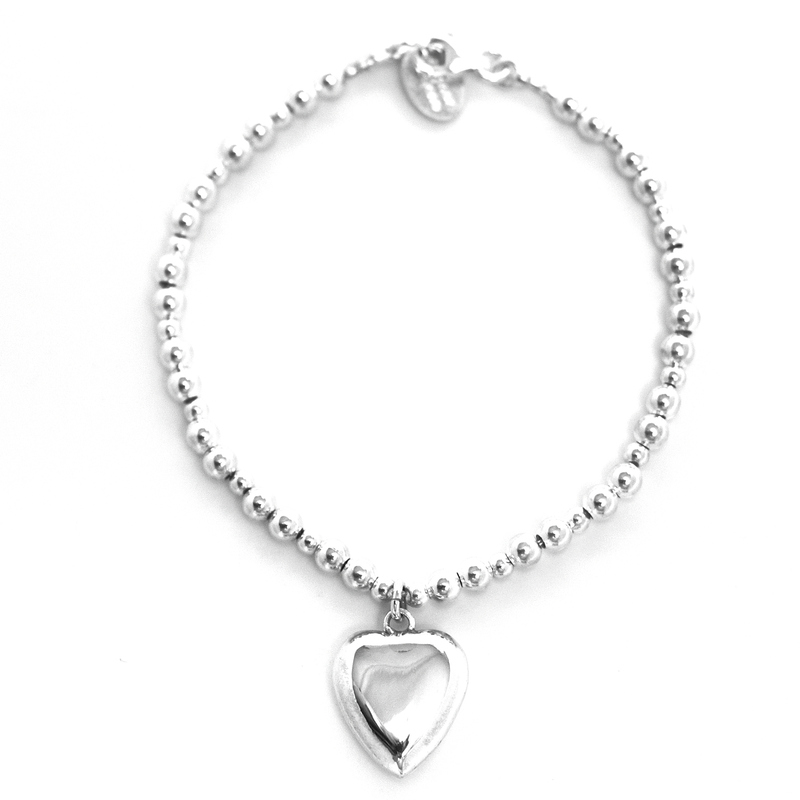 It’s made of a beautiful sterling silver chain and sterling silver beads from 12mm to 8mm. 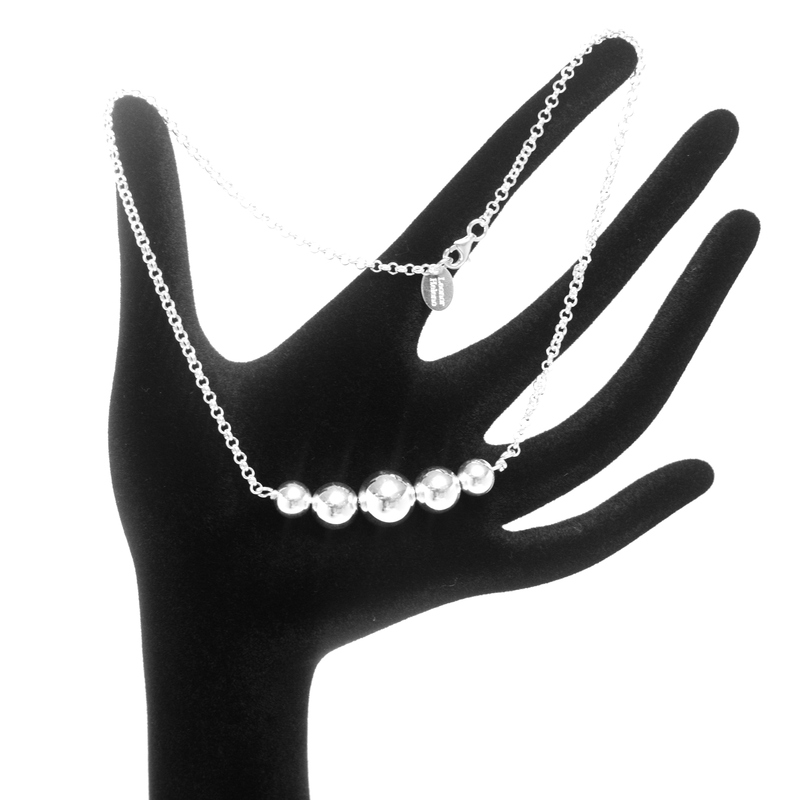 Its simplicity and radiance will allow you to wear it day and night with all of your favorite outfits! 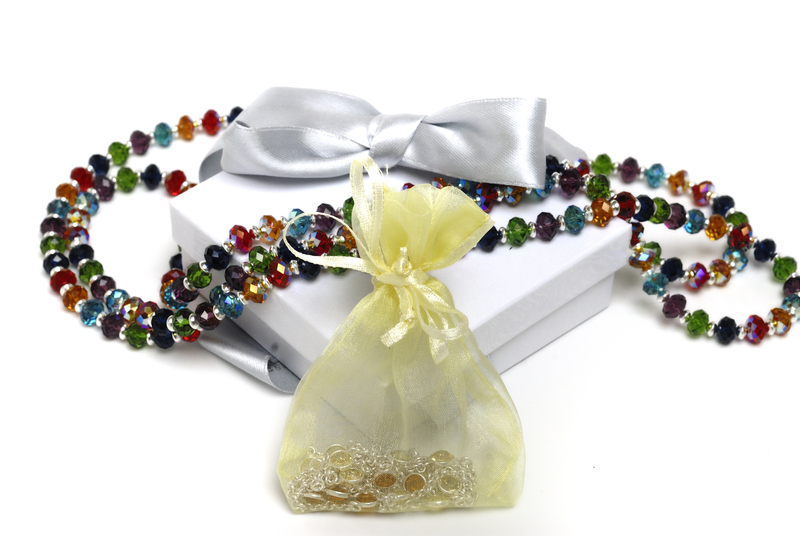 Price : 85 Euros To see the price in £ (GBP) or $ (USD), Click here!